Every practice, no matter how big or small, must protect its intellectual property because it is undeniably what separates you from your competitors. You might be surprised to know that the biggest risk to your intellectual property is not your direct competitors, but rather your staff – the very people who handle your intellectual property every day, and who, quite literally, hold the future prosperity of your practice in their hands (and in their minds). There is obviously no problem with your team members knowing your intimate practice secrets while they are working for you. 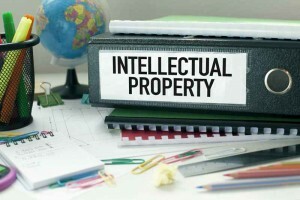 In fact, in most cases you want them to use that intellectual property (IP) for the benefit of your practice. However, the issue of protecting your intellectual property arises not when things are going well and your staff are loyal to you, but when the relationship breaks down or your employee/contractor leaves acrimoniously or is poached by your competitor. Although the law has a general prohibition on employees misusing confidential information after they have left your practice, you really need to consider whether you are in the hands of the common law, or whether you want to set out the prohibition in a properly drafted, legally enforceable document. So how does a practice go about protecting its IP? The first thing to do is to make it known to all employees/contractors that the practice runs and operates a confidential practice system and treats all of its information as sensitive and confidential. The practice is entitled to advise its employees/contractors that it requires each of them to sign a document in which they agree to protect that information. The confidentiality agreement that you prepare should contain two parts: a confidentiality part and a restraint of trade part. Both parts will be designed to prevent employees/contractors from using the confidential information as an inducement for a prospective employer or starting up their own practice as a direct competitor. The restraints that you outline in this document must be reasonable otherwise the court will interpret them against the employer and in favour of the employee. In 2004, the leading case in this area of the law set out five principles that the court will consider when deciding whether or not a restraint is reasonable. The first principle is that the employer must have interests capable of being protected. These things may include patient lists and trade secrets. They might also include confidential procedures or other unique elements of your practice. The second principle is that it must be reasonable for the confidential information to be protected by a restraint or confidentiality agreement. The third principle is that if the employer and employee/contractor enter into a written agreement that states the proposed restraints is reasonable, the agreement will be afforded significant weight by the court. It will not, however, be definitive proof as to whether or not the restraint is valid. The fourth principle is that the validity and reasonableness of the restraint will not be assessed in retrospect (that is, it will not be assessed after the employment relationship comes to an end), but rather it will be assessed at the time that the contract of employment is entered into. The fifth and final principle is that the court is not permitted to re-write the restraint if it is found to be too broad or excessive. Instead the court may remove any parts of the agreement that are unreasonable if more reasonable restrictions are part of the agreement. A well drafted confidentiality and restraint agreement may be enforced to prohibit an employee from removing confidential information from the practice, or from seeking to poach existing patients within a specified period of time and within a specific geographical location. The restraint will not be upheld by the court if it seeks only to protect the employer from competition by the employee/contractor. However, an employer may seek to enforce an agreement where the employee seeks to take advantage of the employer by using it against the employer’s confidential information that they obtained during their employment. If an employer finds out that an ex-employee/contractor has breached they may sue to protect their intellectual property from disclosure and misuse. As part of that suit, the employer may seek orders compelling the employee/contractor to deliver up copies of all confidential documents in their possession and to provide a written undertaking that they will not continue to approach or solicit patients, and will cease using the former employer’s confidential systems. If those orders are not made, or if the ex-employee refuses to abide by them, the employer may seek to prevent further breaches by obtaining an injunction. For more advice on this matter, please contact Dr Anthony Capiaghi.